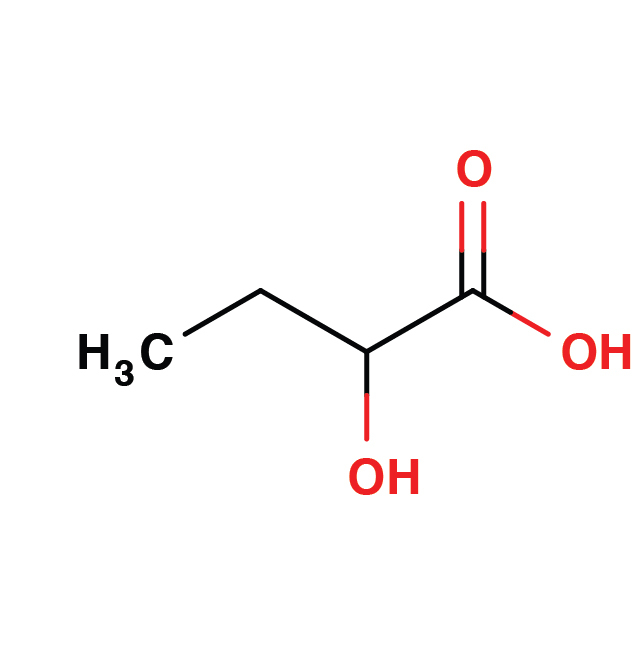 2-Hydroxybutyrate (aHB) is an organic acid that is derived from α-ketobutyrate, which is generated during methionine and threonine catabolism or glutathione synthesis (cysteine formation). aHB is an early biomarker of insulin resistance and impaired glucose regulation (2) that appears to arise due to increased lipid oxidation and oxidative stress. Assessment of diabetes status and impaired glucose tolerance. 2. Cobb, J., Eckhart, A., Motsinger-Reif, A., Carr, B., Groop, L., and Ferrannini, E. (2016). α-Hydroxybutyric acid is a selective metabolite biomarker of impaired glucose tolerance. Diabetes Care 39, 988-995.